The Allee Willis Museum of Kitsch » Kitsch afro-centric necklace inspires young generation!!! Kitsch afro-centric necklace inspires young generation!!! One year ago I took a trip to the Goodwill store and found a very unique jungle style chain. Little did I know it would change my life. 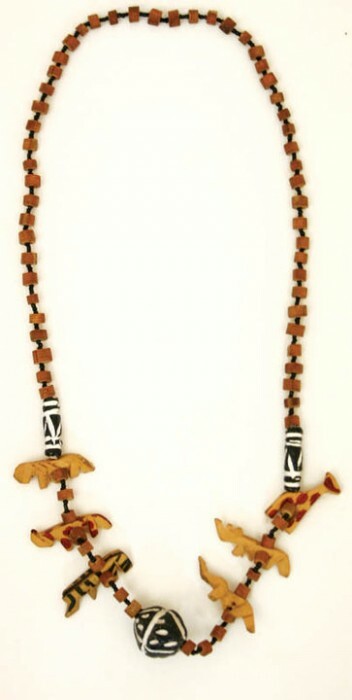 This Afro-centric Jungle necklace inspired me to write a song (Jungle On My Neck) that would later spear head a positive movement, “The Pangea Kidz”. The Pangea Kidz are a hip-hop fusion group who wears these chains as symbol of individualism encouraging its generation to chase their wildest dreams. The Definition of Pangea”Everything is all connected” was a quote given to lead singer Christopher as an adolescent by his mother. She uttered those words whenever the boys couldn’t solve a problem or wanted to understand something that seemed inexplicable. The boys identified this as the Pangea concept and applied it to almost every aspect of their lives including the music. Putting their talent and imagination to work, they constructed a formula that will incorporate all different genres of music that would come together in the form of Rap/Hip-Hop. Young Bagerah, Dubba-AA, & Christopher Da’Great are now know as The Pangea Kidz. These boys didn’t just stop at music when it came to connecting the dots. 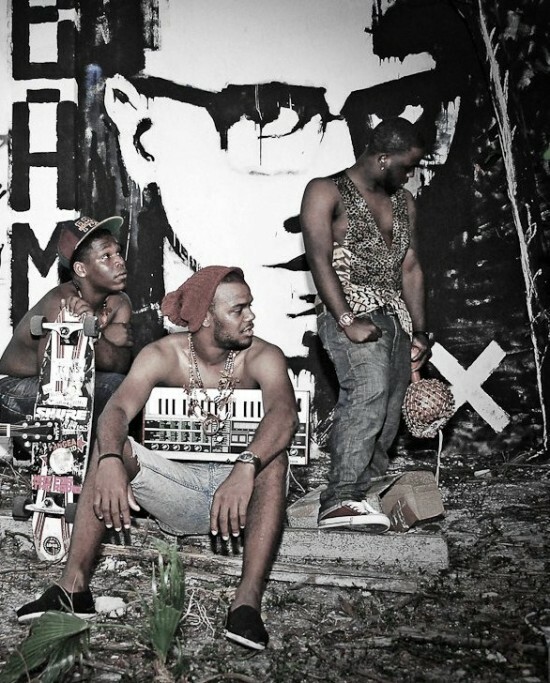 This unique trio also promotes education and the GO GREEN movement throughout their music and image. They follow a story line with a Jungle-like theme that depicts them as natives of the geographically connected world Pangaea; sent to the future or modern-day times to unite the world once again, through music. “What separates a good artist from a great artist?” This is a frequently asked question in the music industry. The Pangea Kidz define a “great artist” as one who has imagination, coupled with swagger; packaged and delivered consistently. Pangea is our symbol of unity. Kidz symbolizes the youth, which is the future. We have a unique style of music that incorporates a live Band Pop-Rock/Rap sound. We have over 1,000 fans who have added “pangeakidz” next to there names on Facebook hinting that this is something that people can actually participate in; more like an identity rather than a movement. Our mission is to bring change to the world with our message, song and swagger. Peace&Love! Kudos to you for something like a necklace inspiring not just the song but a movement! Your music is great. And thanks for all the background on your group. And so excellent that you’re green as well. Are all your songs related to the jungle theme? How many of these necklaces did you find? Keep on keepin’ on in the jungle! We mention the jungle in just about all of our songs but Jungle On My Neck is the theme song..
We actually found people over in Kenya who hand makes them! Yes they are originally from Africa! We are the divine vessel who introduces these works of art to the CONCRETE JUNGLES of today!